My daughter loves flowers! 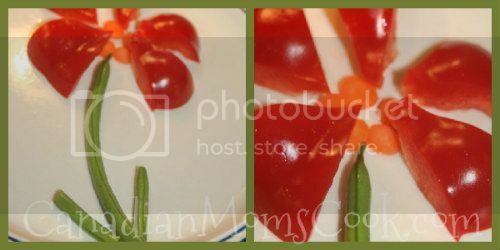 Whenever I think of it, I use our colourful fruits and veggies to create a beautiful flower for her to eat! I wrote a review of the Copy-Kids DVD over at Multi-Testing Mommy. We would like to offer two Canadian Moms Cook readers the opportunity to win a copy of Copy Kids! Enter in the Rafflecopter form below (please be patient for it to load). Open to Canadian and US Residents. Giveaway Ends on July 13, 2012. My Mom always says her craving when she was pregnant with me was garlic bread from a local pizza place and I admit I have been a garlic lover my ENTIRE life. 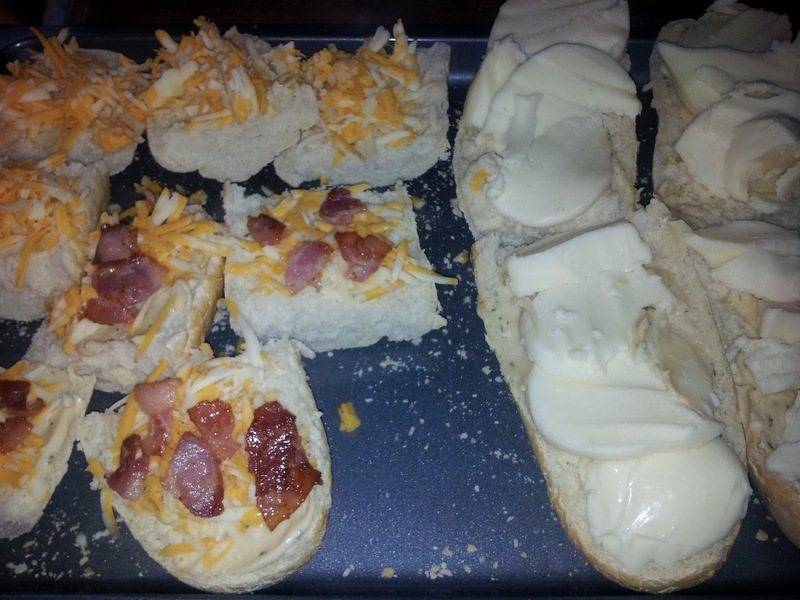 A favourite side to dinner around here is home made Garlic Bread and I thought I would share with you a few different ways we make it. For the Garlic Butter, in a small bowl combine.. Spread on a sliced open baguette then top with..
Bake at 375 for approx 7-8 minutes until the cheese is melted, but keep an eye on it. Get an entire head of garlic, cut off the top of the garlic so you've sliced off the top of most of the cloves. 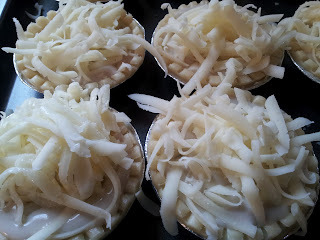 Place in a small bake wear dish like a ramekin, drizzle with extra virgin olive oil, cover in tin foil and bake at 375 for approx 50 minutes. Squeeze or peel out all of the roasted garlic cloves into a dish, add a brick of room temperature cream cheese and stir to combine. Spread it on an sliced open baguette. Bake at 375 for approx 7-8 minutes. Everyone loves garlic bread here! Kids love it super cheese-y, I really like the roasted garlic. Goes great with just about every meal and tastes way better than any of the frozen ones you get in the grocery store. Wraps are perfect for the summer (well, any time really). 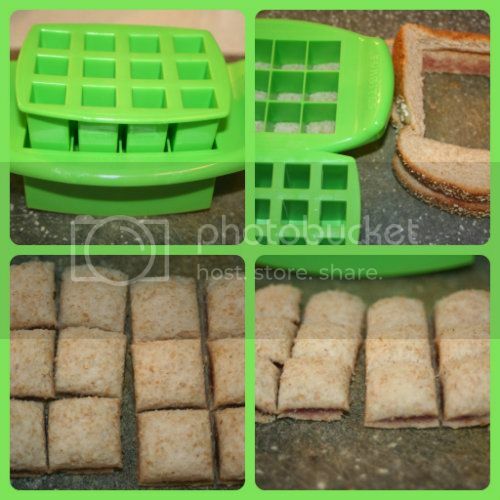 In the summer they can be a cool dinner, or a pre-made on the run dinner for soccer and baseball games. Here's a couple our our favourite fillings. 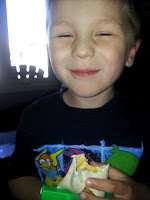 We have learned about an awesome new way to keep those wraps together for little hands - wrap trap! 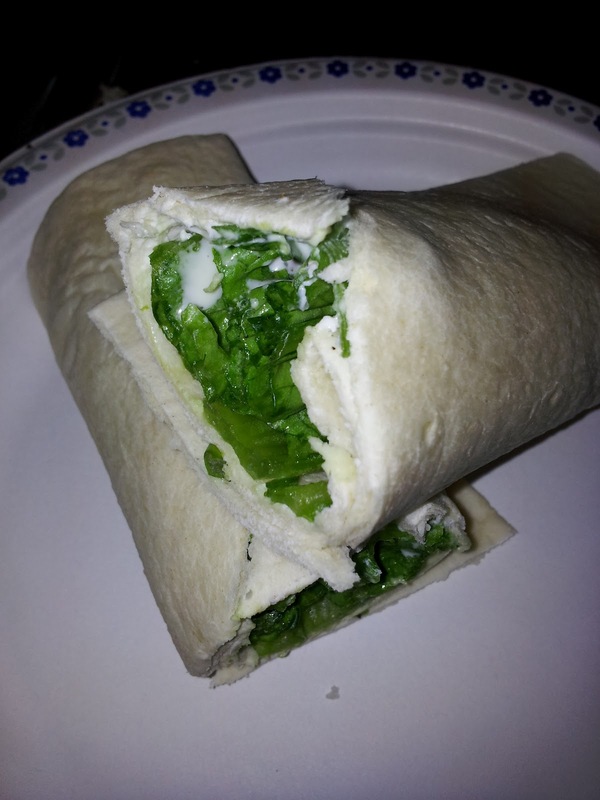 Developed by a Canadian Mom, Wrap Trap pinches the end of the wrap to nothing falls out! A huge plus around here, the boys are forever having their wraps fall apart, and with these fun faces, I've found it keeps them eating to the end! 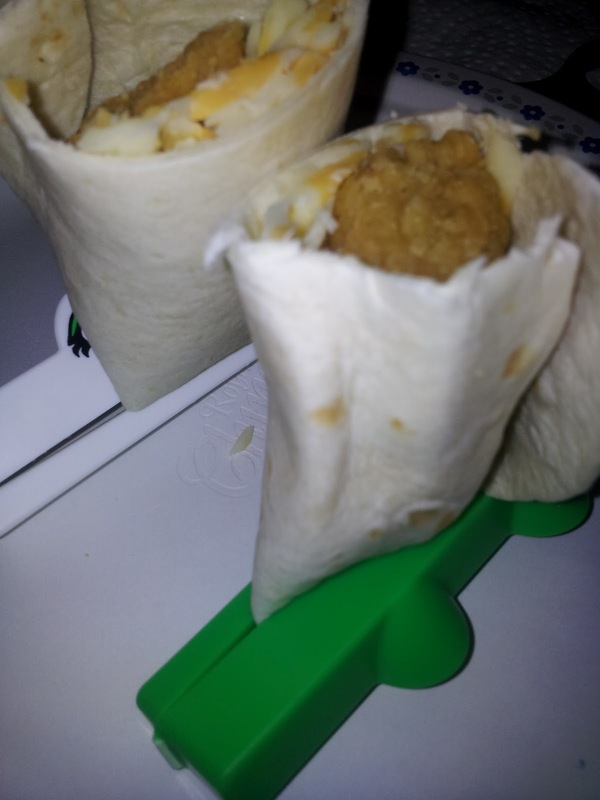 Each Wrap Trap comes as a set of two, just use them to close both ends of a wrap and cut it in half - perfect, fun keeps the floor clean, I love it! See what Canadian Moms Cook co-author Amanda had to say about Wrap Trap. Visit Canadian Company ONS GEAR to purchase the Wrap Trap and many more innovative solutions! Great news: use coupon code: WrapMom (case sensitive) for 10% off, valid until July 31st 2012. Kids, hubby, visiting friends, everyone loves wraps! If you have picky eaters just put all the options on one large tray and everyone can make their own! 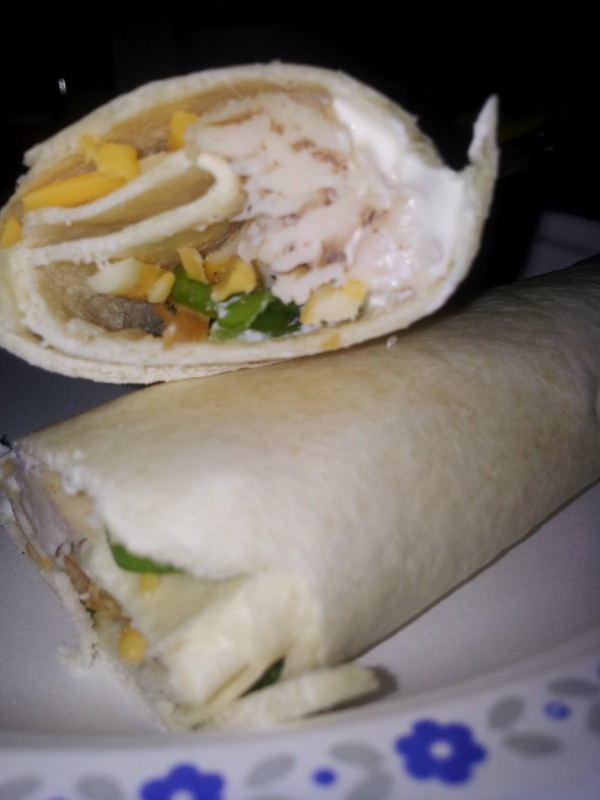 What are some of your favorite wrap fillings? 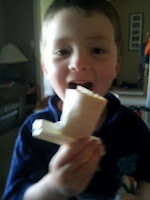 Check out our review of FunBites over at Multi-Testing Mommy! Would you like to win your own heart shaped FunBites? Let's Chop Veggies Using a Proper Grip! I've read time and time again the best tip ever, but I don't always follow it and I should! When you get home from the grocery store, wash, peel and chop your veggies so that they are readily available for snacking! Especially when your children are not old enough to prepare their own veggies, this is helpful because there will always be a healthy snack on hand. We came across this informative video about how to properly grip a knife while you are chopping food. Maybe this will make the job go by faster? Do you have any healthy snacking tips to share with us? I have loved homemade burgers from the time my Gramma used to make them when I was little. I much, much, MUCH prefer them over anything store bought. Everyone goes about it differently, but I've heard from a few people they can't get theirs to stay together. Mine do, even on the bbq, so I thought I would share my ingredients list. Form into burger shapes and place on parchment paper, on a cookie sheet or tray. I like to put them in the fridge at this point for 45 minutes or so, especially if going to cook them on the bbq. You can also flash freeze them by putting them in the freeze like this for a couple hours than transferring them to freezer bags. 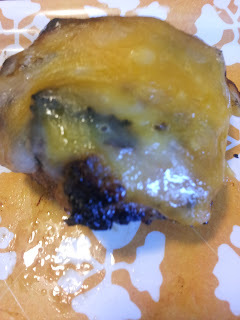 Pan fry or BBQ, we sometimes top with cheese right at the end. A HUGE family favourite, we love these. I often make them quite small, kids like them better that way. How do you make your burgers?? This recipe is from my Gramma and a favourite of mine. It can be a side dish or a whole meal and serving it to friends will be a big hit! Either make 6 cups of cooked white rice to start, make it earlier in the day, the night before or reduce the recipe and use left overs. 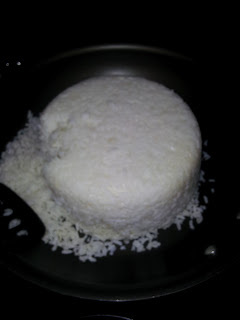 I use minute rice but any white rice can be used. 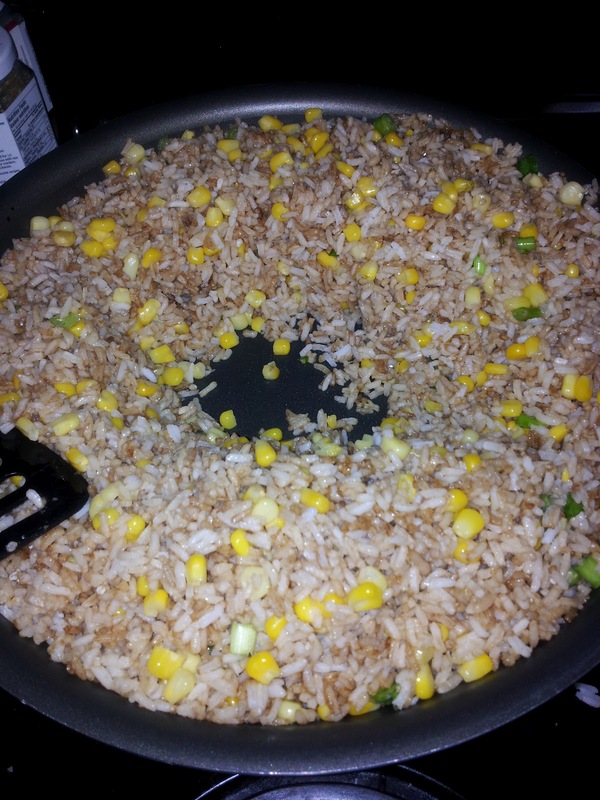 Add the cooked rice and about 1 tablespoon of oil to a large pan, easiest if you have a wok. Once rice is heated through, add enough soy sauce to coat the rice, or more or less depending on your tastes. Once rice is coated in soy sauce add your choice of veggie; corn, peas and beans and green onions all work great. I went with corn and green onions. 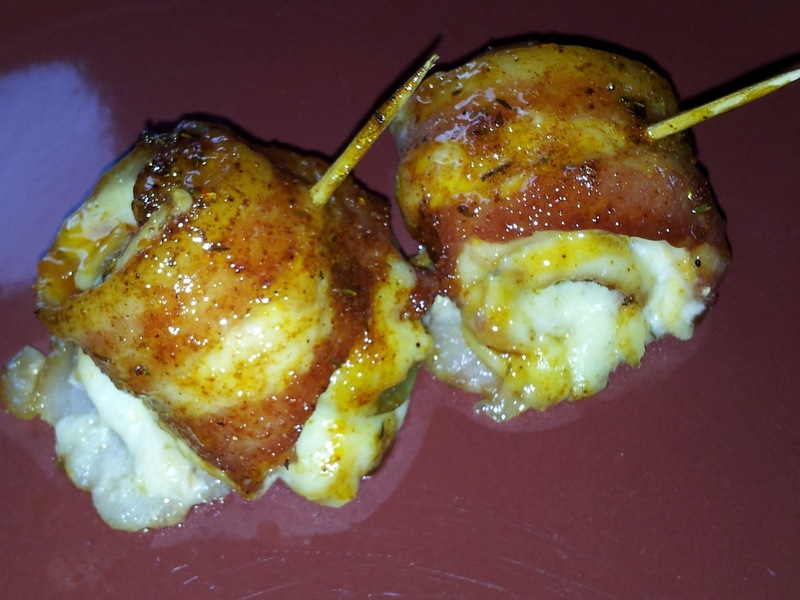 Optionally you can add cooked meat like chicken, bacon or shrimp, perfect to make this a main dish! Create a well in the middle of the pan, whisk 3-5 eggs in a dish with salt and pepper. Pour the eggs into your well, allowing them to cook but slowing moving than around like making scrambled eggs. 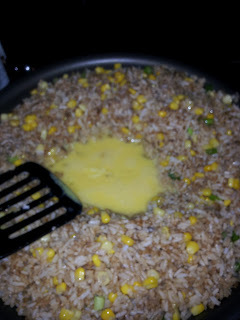 As the eggs cook gradually incorporate the eggs into the rice. Make sure the eggs are cooked through and serve! Hubby and I LOVE this dish, kiddos think it's *okay*. Makes for awesome lunch the next day too!! Cupcakes have got to be one of the most fun things for us to bake! 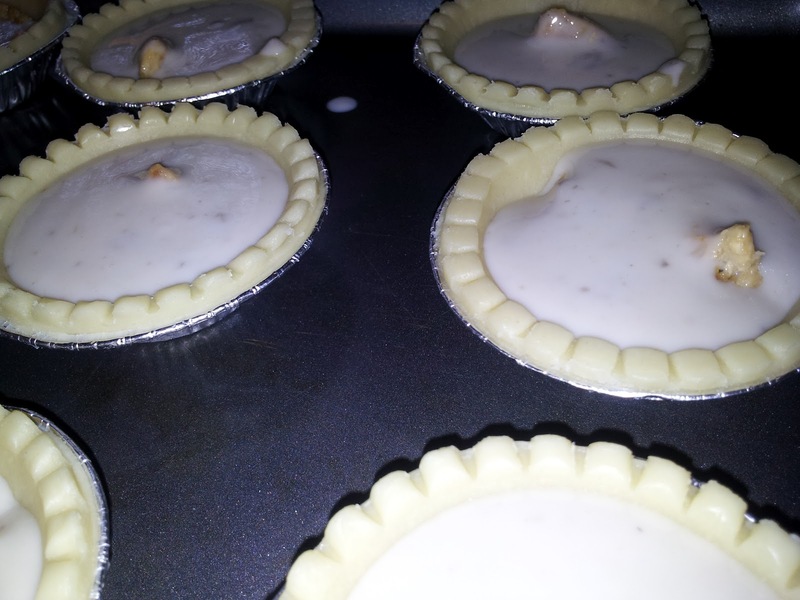 We are always game for trying something new and that is exactly what Nancy from Penny Pincherholics has done! 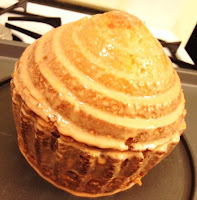 We are joining her in bringing you this wonderful review and giveaway of The Big Top Cupcake. If you're an avid baker or know someone who is, this is the giveaway to enter. Read on for more details on what deliciousness was ensued in Nancy's kitchen and how you can get one of these awesome bakeware sets for yourself. So when the Big Top Cupcake arrived at my doorstep, you already know what kind of excitement I was feeling. As usual, I ripped open the shipping box, grabbed the packaging out, and started reading everything from cover to cover. I wasted no time taking it to the kitchen and putting it to use. My husband looked at me like I was crazy because I had this huge smile on my face I almost looked crazy. Yes, that's what baking equipment does to me. Is that weird? If you're interested in purchasing this Big Top Cupcake right now, head on over here! Through experience, we have noticed that whenever we give our children control over part or all of a meal that they are more likely to eat whatever it is they helped to prepare! This theory held true with raw veggies the other day! My 7 year old daughter LOVES raw veggies, she is a little rabbit, which is wonderful! My 3.5 year old son is a rather picky eater and he has yet to not gag when he attempts to eat raw veggies. 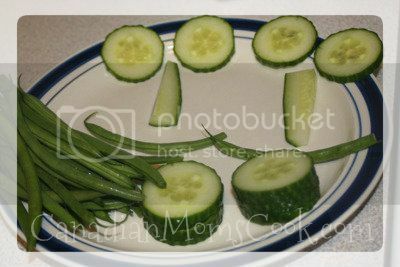 The other day, my daughter saw some raw beans and cucumbers that I had prepared and put into bowls for dinner. She asked me she could rearrange them on a plate. No sooner had she finished, my son noticed what she had done and asked if he could do the same. ABSOLUTELY! He was expressing an interest in even touching raw veggies, I was all for him laying them out in whatever way he pleased. So at dinner, I asked him if he was going to try to eat his bean and cucumber person and do you know what?! For the first time EVER, he picked up a cucumber and ate it! He actually ate a raw cucumber. He didn't finish it and he did start to gag at the end, but he did it! 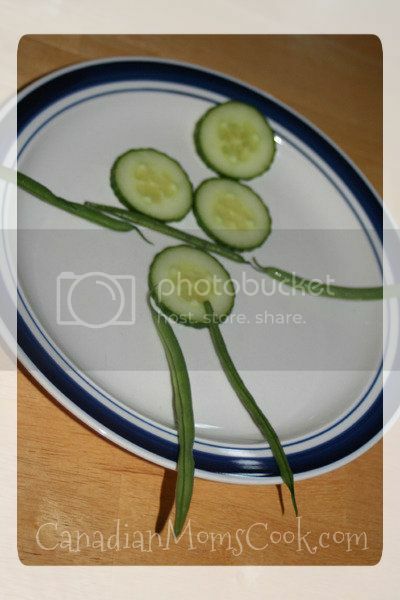 How much FUN are those cucumber and bean people?! 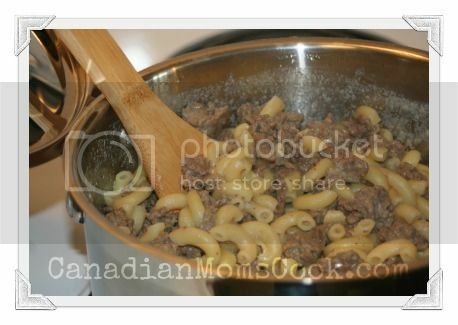 I've made Homemade Hamburger Helper before, but didn't love how it tasted. However the concept of making hamburger helper without all of the chemicals is something that I wanted to master. When I came across the recipe over at a friend's blog, I was all over it! I immediately went out and bought all of the ingredients and planned to have it that night. After all, it was a skating night and we needed something quick and easy for dinner. This recipe was featured on Genuine Jenn, a food blog that is well worth checking out in my opinion! Jennifer features wonderful meal plans, recipes and food posts! The ingredients are simply including ground beef, water, milk, pasta, cheese and a few spices. This recipe calls for 1 Tbsp of chilli powder and my children do not love spice, so I cut this amount down significantly, possibly a bit too much! Other than that one change, I made the recipe "as is". The family loved this recipe. I love it because it was SO easy to make as a "one pot meal". I actually made it during the afternoon, cooled it off a bit in the pot and placed it right in the fridge to be heated up for dinner. Such easy clean up too! My kids enjoyed this meal and after convincing my pickly little 3 year old eater to try it out, he ate his whole plate. I am also happy to say that my husband quite enjoyed this meal too. Traditional Hamburger Helper used to be one of his staples when he was younger, so has always enjoyed this type of a meal. I saw something similar to this *somewhere* on the web, if you know here, send me a link! 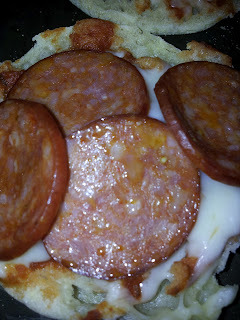 This is a great recipe both for kids and for any picky eaters because you get to put different fillings in each tart if you want and kids like the tiny size. Cut up a chicken breast, toss with salt, pepper and garlic powder and bake or fry until cooked through. Set out 12-24 small frozen tart shells on cookie sheets. Open a can of creamed soup (I used a can of chicken and a can of mushroom), dump each can into their own bowl, add about 1/4C of milk and microwave for 30 seconds so you can stir it into a sauce. 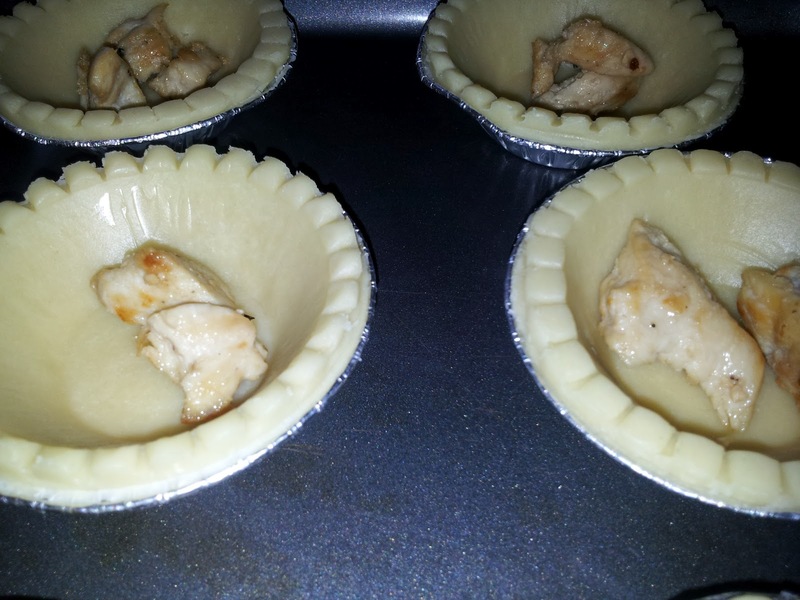 Place a few pieces of chicken in each tart shell, this is where you can add any veggies you like to different shells - maybe some like corn, some like beans, some like peas. Then cover with the soup "sauce" and top with shredded mozzarella cheese. Bake at 350 for 25 minutes and serve hot. An absolute favourite here, and everyone gets what they want. I like it better with the mushroom soup and corn, kids like chicken soup and no veggies, hubby like chicken soup and peas, the possibilities are endless. 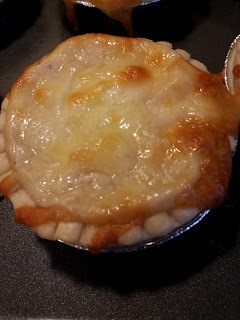 Would be a fun dish to serve to guests at a lunch, a New Years Eve appetizer, "baby pot pies" at a baby shower! 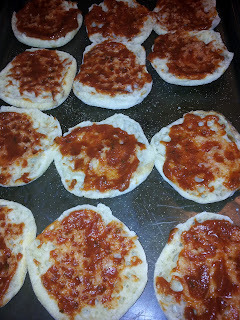 A fun lunch or dinner side dish, we love english muffin pizzas! 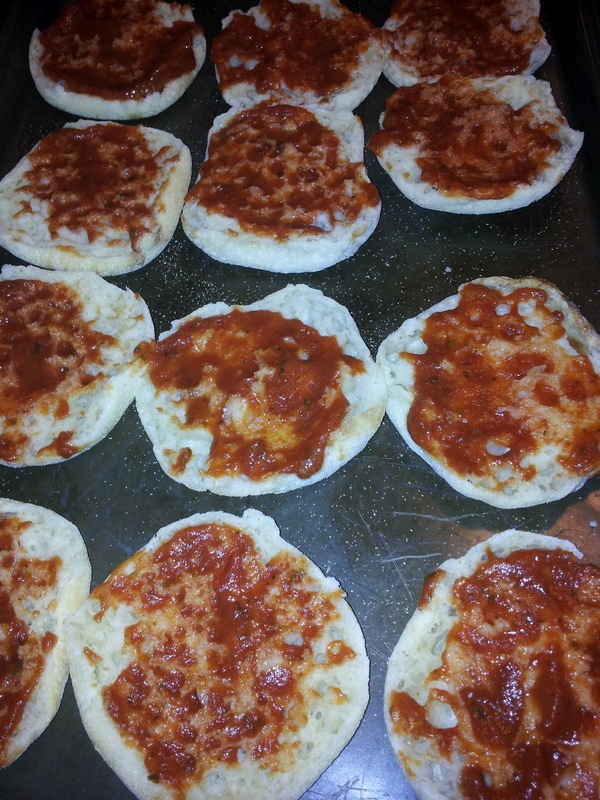 Just split the muffin open, top with pizza or spaghetti sauce..
Then cheese and your favourite toppings..
And pop it in the oven at 350 for 6-8 minutes! 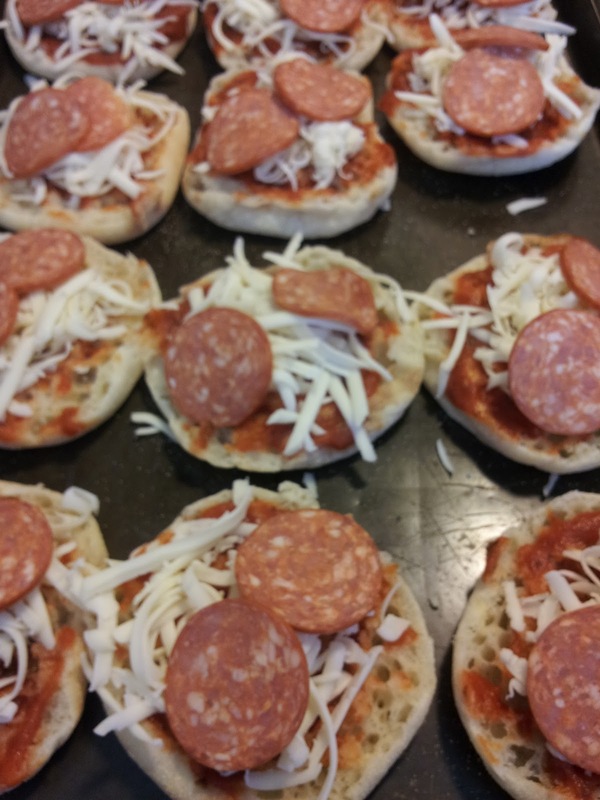 A tasty treat for everyone, a special lunch and fun for the kids to make on their own! Mom or Dad just had to stick them in the oven. Cook School, a recipe book for children aged 3 to 11 by Amanda Grant. With more than 50 recipes, this book is full of information, tips and recipes that are categorized according to a child's age group (3-5, 5-7 and 7-11). This cook book truly is child friendly as it is full of beautiful photos of "how to's" and "steps", but it is also a great resource for parents. Each section has a page for Grown-Ups, providing adults with information about children of that particular age group and what they might be capable of doing in the kitchen. Each section also has a page that discusses various skills, including terminology that help the child learn HOW to cook. The book also goes into great detail about kitchen equipment and tools and what they are used for. Each recipe is set up in a similar fashion, outlining the ingredients, equipment and directions. The recipes also have numbered photographs showing the steps required to make that given item. There are a large variety of recipes in this book, some of them a bit too adventurous for my children who are on the more "picky" side of food. Amanda Grant, the author, is a mother of three young children, food writer and broadcaster. Amanda has written a number of books mostly specializing in children's food and nutrition and family cooking. This book is based out of the UK so if you are like me, you will require a measurement converter like this one in order to help you make these recipes. 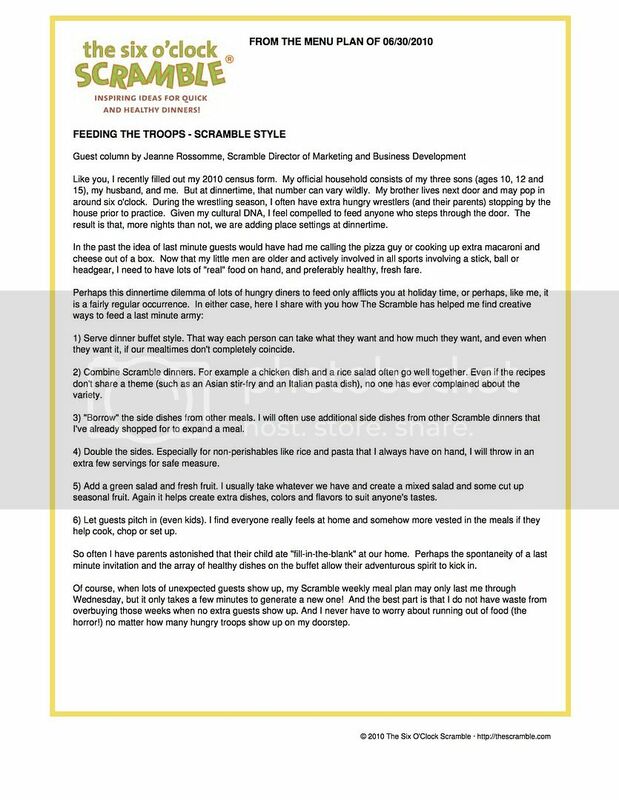 We were provided with promotional materials free of charge, by the manufacturer or a representing PR agency, in the hopes that it would be mentioned on this blog. All opinions are our own. This recipe was featured and was a weekly winner on the Recipe to Riches tv show (did you see Season Two is coming in October?? I can't wait!! ), it almost made it to the end! We tried it made at home and from the store, we preferred the homemade version. The recipe can be found on the Recipe to Riches section of the Food Network website. Sometimes I include the jalapeño slices, sometimes I don't. For the kids I make a few that is just chicken, cheese and bacon rolled up (no spice either). I love that this recipe leads to making many alternatives at one time. They look amazing first of all. They are really tasty, hubby especially loves them. You can please everyone by making a few with the full recipe, a few with no spice, a few with no jalapeño slices, etc. A delicious appetizer or even a meal! The Six O'Clock Scramble - Weekly Meal Plans into Your Inbox! The Six O'Clock Scramble is a wonderful family dinner planning system to help out those of us who constantly are scrambling to get dinner on the table each night. All meals featured can be prepared in 30 minutes or less. The feature we love the most with this Meal Planning Service is that you can customize the week’s meal plan to your family’s tastes and diets. If you have picky eaters, someone with food allergies, etc., the week's meal plan can be easily changed. When the menu plan arrives in your inbox, you have the option to print the menu plan "as is" or you can "customize it". When you choose the customize option, it takes you to the Scramble website where you can take out any meal that doesn't work for you and add in a meal from their large database. Right now, you can buy a Gift Subscription to the Six O'Clock Scramble using the promotion code GRAD2012 at checkout. Until June 15th, 2012, you can receive $2 off a 3 month subscription (for a discounted total of $19.00) or $4 off a six-month subscription ($33 after discount). Just use the promotion code GRAD2012 at checkout. Disclosure: We received a free subscription to The Six O'Clock Scramble for purposes of this review. All opinions are our own. This is a quick one to let you know a yummy way I did corn the other day. 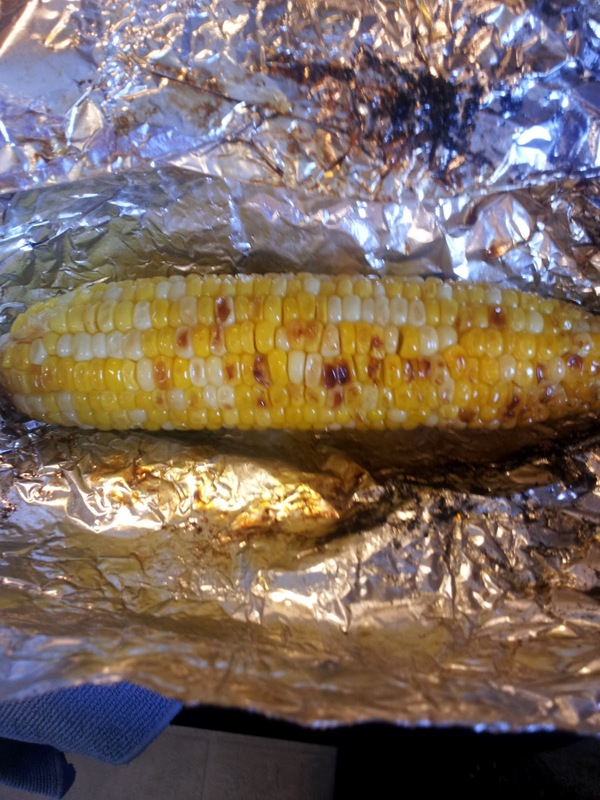 I've tried BBQ Corn before, but that time we soaked the corn in the husks and put the husks directly on the grill. 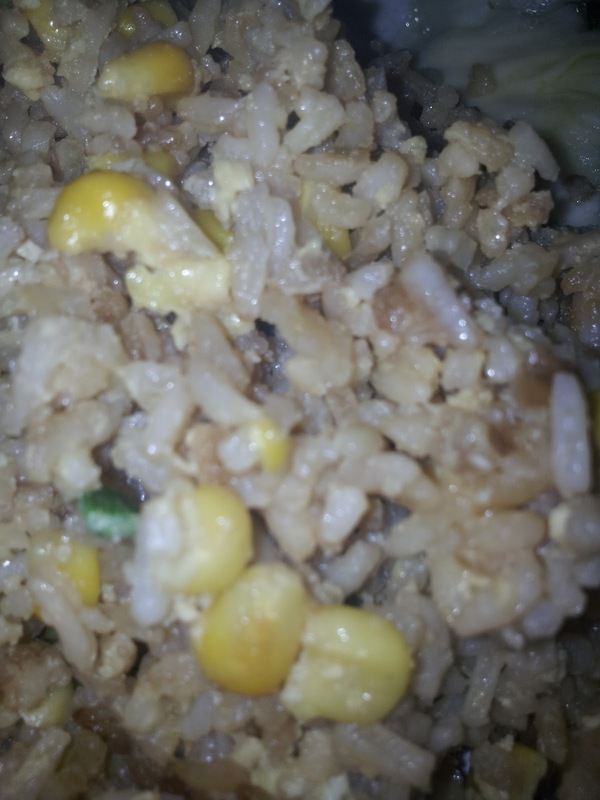 Here's what I did this time..
Husk corn completely and soak in water for at least 2 hours. 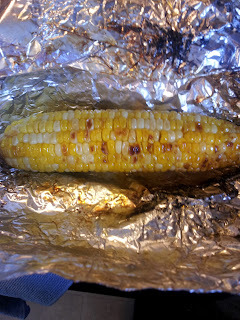 Spread some butter and sprinkle some salt on each cob, wrap each cob completely in tin foil. BBQ for 30 minutes and serve. Everyone thought this was really yummy. Kids weren't sure about the darkened parts but I loved them all. A very different corn taste than when you boil them. I love that it's "pre" buttered, less work to serve! We like to have fun with food around our house! Not only is it fun, but I find that it also often increases the chances that the children will eat what is put in front of them. Taking a few extra minutes every once in a while will help to create long lasting, happy memories for your children to cherish for many years to come. Here is an idea for how to "fun up" a cupcakes (or a muffin). 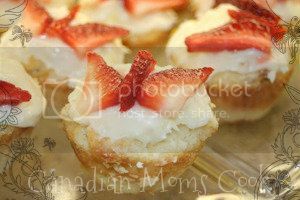 You can turn any cupcake or muffin into a Butterfly Cupcake simply by using sliced strawberry pieces. Do you have any Fun Food ideas that you would like to share with us? If so, please contact us and send us a photo that will be considered for an upcoming Fun Food Friday post!